Lighting plays a large part in all of our events, and color is one of our favorite tools to use in shaping the ambience of a space. One often hears color theory discussed in terms of graphic design or interior decorating, but it is equally relevant to event design! Color theory is a term used to describe the collection of rules and guidelines regarding the use of color in art and design. Essentially, because color affects our emotions in predictable and quantifiable ways, color theory aims to help us understand the emotions & perceptions associated with each color. In event design, we can use color to evoke certain emotions in our attendees, so an understanding of color theory is crucial! 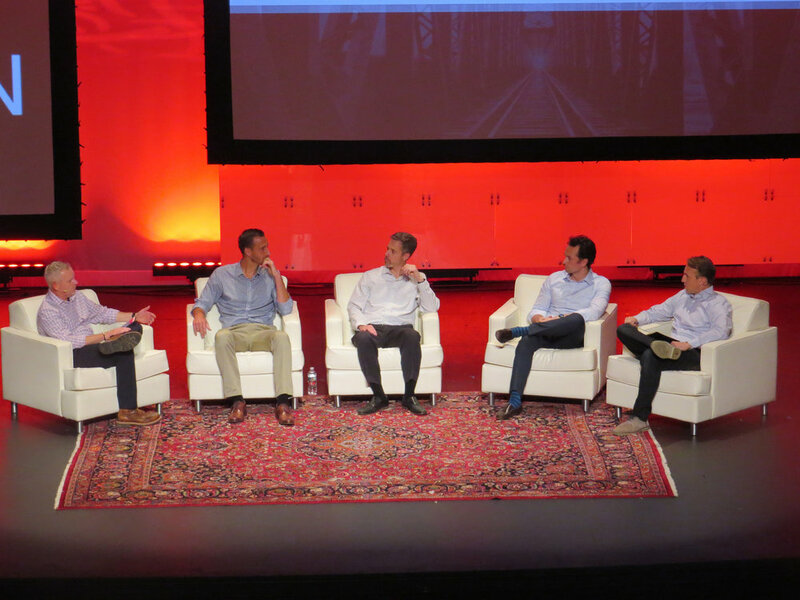 For S&P’s OPSCON conference a couple of years ago, we used red as the primary color for stage lighting. This was in part because red is one of S&P Global’s primary branding colors, but also because red can often heighten energy levels in the viewer. Red is often associated with excitement, passion, and power, and for a multi-day conference like OPSCON, keeping attendees excited and engaged was crucial! 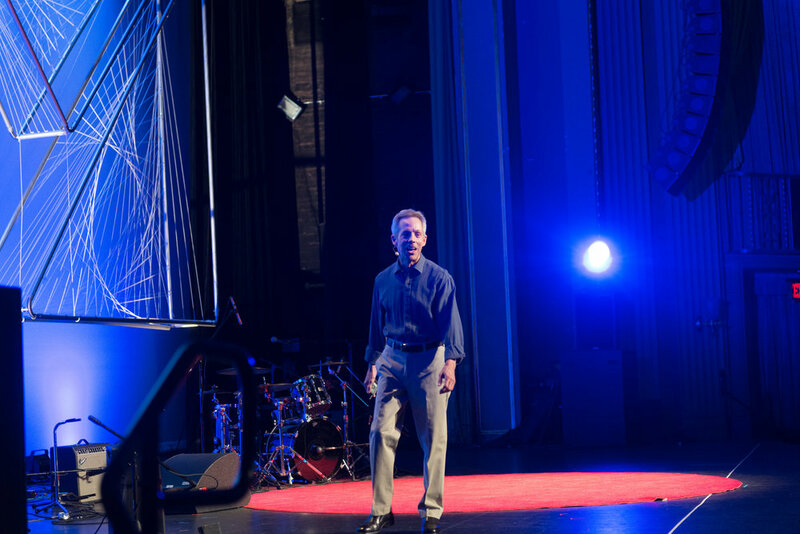 For last year’s TEDxCharlottesville, we used a blue background wash as a primary staging element throughout most of the event. TEDxCharlottesvile is an event in which speakers come together to share ideas and to bring awareness to the rich talent, creativity and innovation found here in Charlottesville, Virginia. This year’s branding did not dictate a strict color palette, so we chose blue for our staging as it enhances a sense of intelligence, wisdom, trustworthiness, and creativity. 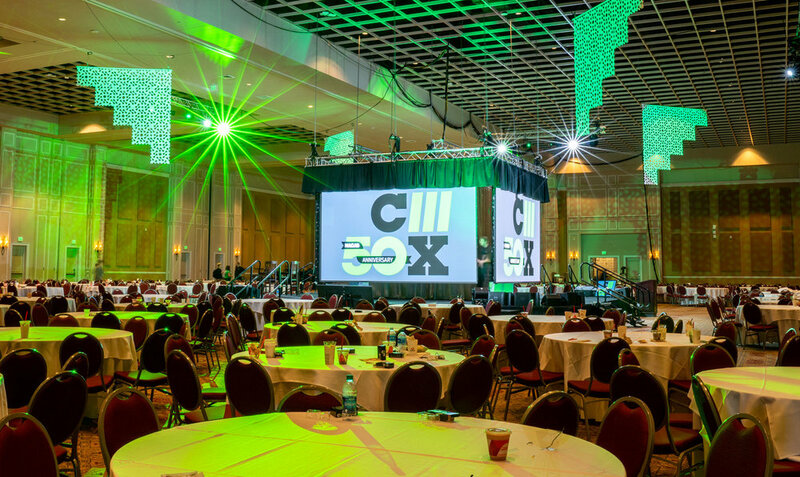 For the NACAS C3X Conference - one of our more recent projects this fall - we used green lighting to add ambience to the event space. Again, this is one of NACAS’s branding colors, but it also enhances a sense of intrigue and originality. Green is often associated with invention and renewal, which is in line with the event’s focus on showcasing the most contemporary perspective of how auxiliary services enrich the campus experience, and it is also associated with financial abundance, which appeals to the target attendee who is there to expand upon their professional skills & knowledge. 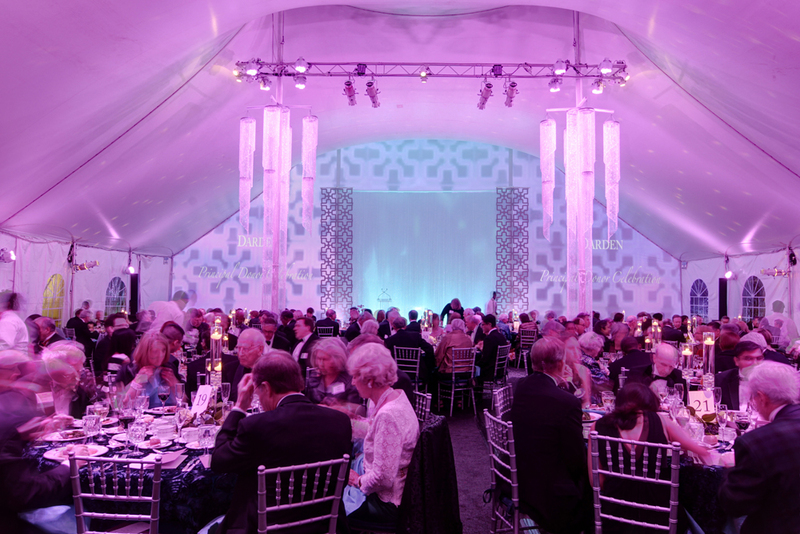 For Darden’s Principal Donor event in 2014, lighting played a huge part in the overall look & feel of the space. We chose a pink color to splash throughout the tent to provide a playful but soft look. In Western culture, pink is sometimes associated with femininity - but its connotations go far beyond that. It adds warmth & energy to the space, but because it is light in color, it still allows the space to feel light and airy. 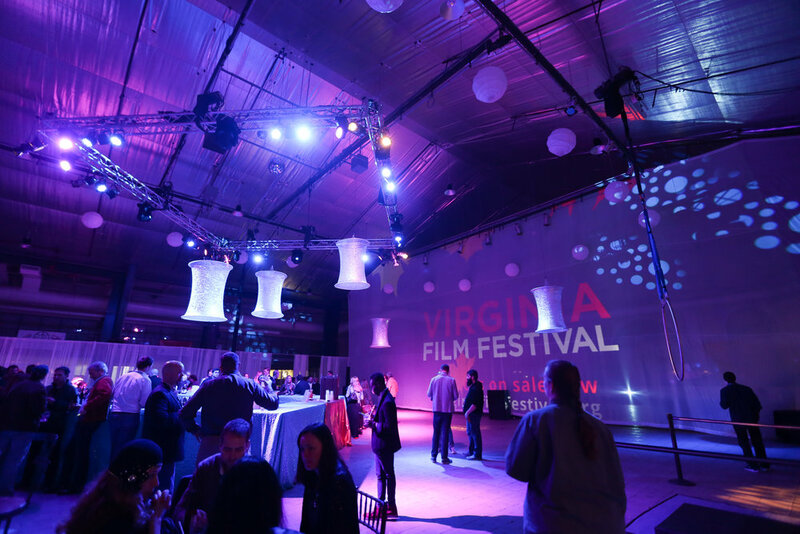 We utilized purple lighting for the Virginia Film Festival’s Wrap Party a few years back to enhance the event theme. This event was meant to feel whimsical and mysterious, a mood which was heightened by performances from aerial dancers throughout the event. So, combined with copious amounts of fog & atmosphere, we used purple as our primary lighting color to enhance feelings of imagination, mysticism, and playfulness. Color can play a huge role in determining the look and feel of an event space or stage. Harnessing the power of color theory can help you to make more informed decisions when selecting colors to use throughout your event, whether its in lighting, decor, or even event branding. 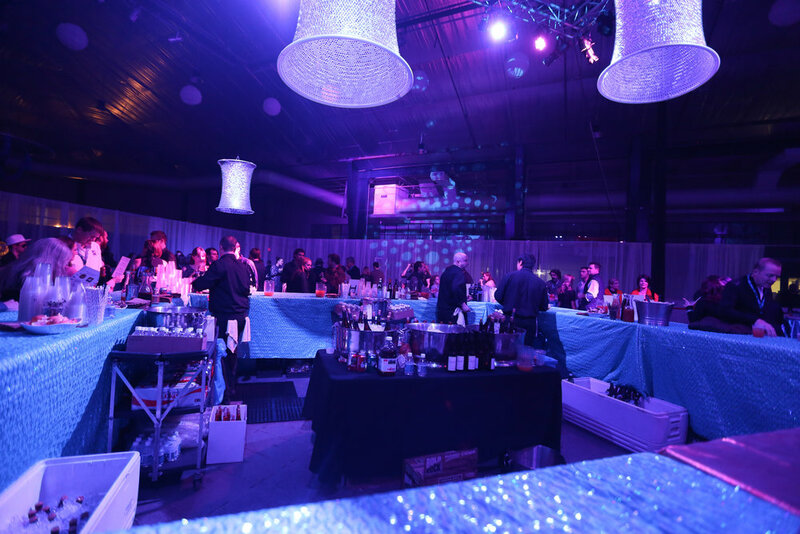 LET US HELP YOU USE COLOR STRATEGICALLY FOR YOUR NEXT EVENT! Here at The AV Company, collaboration is the name of the game. Whether it’s with our clients, our industry partners, or even within our own team, we are all about coming together to reach our clients’ goals & to help them achieve their vision. Recently, we collaborated with the National Governors Association (NGA) on a creative display method for their Summer Meeting in Santa Fe. The purpose of this event is for governors from all states to come together to share resources, study what’s been done, and to set an agenda for their legislative portion of the federal government. The client requested an innovative set that reflected the history of the beautiful Santa Fe area. Our designer drew inspiration from the pueblo style of architecture that is typified by this region, and designed a staggered LED wall layout, reminiscent of the traditionally orthogonal pueblo rooflines. To complete the look, he created graphics representing a building in this style, to provide a strong walk-in look for the event. He also created step-and-repeat graphics to show on the LED wall during press-related sections of the event. We use renderings when designing custom staging or room layouts to show our clients what they can expect, and to make sure that all involved are on the same page. 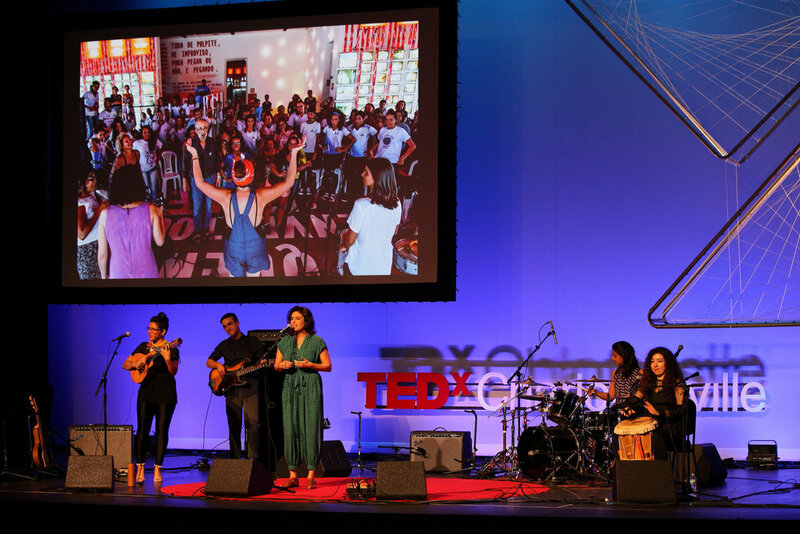 Aside from staging, we also provided audiovisual support and video services for this event. 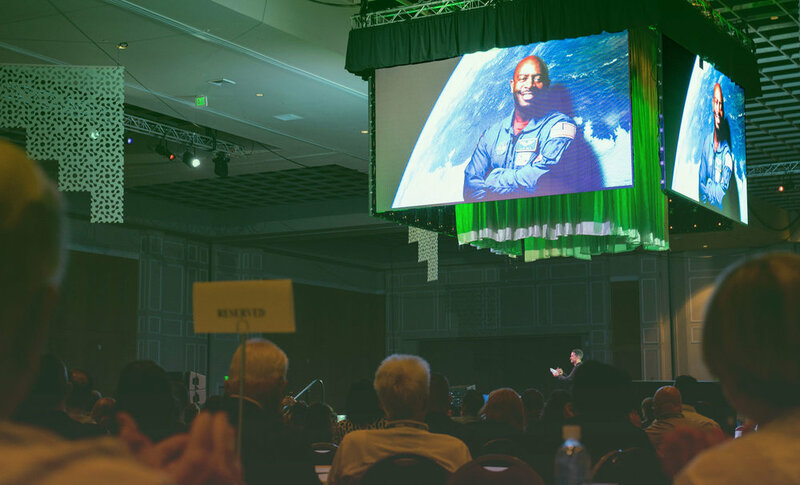 Taking on an event roughly 1800 miles away was a welcome challenge for us, and the facility team at the Santa Fe Community Convention Center was a huge part of the success of this event. 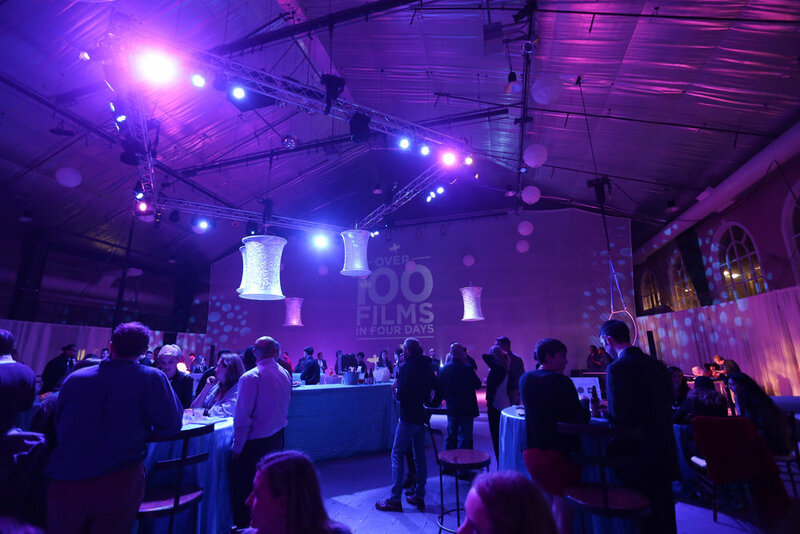 We also had the pleasure of working with Telepictures, Inc. who partnered with us to provide streaming services. We are happy to say that the client was elated with our overall performance, and impressed with our team’s creativity. From the aesthetic to the execution, this event was a fantastic example of a successful collaboration, and we were honored to be a part of it.